I got another package yesterday from Nick (he writes the blog Dime Boxes -- The Low End Baseball Collector's Journey). He and I have hit it off pretty well and are now sending random cards back and forth. This package contained a few Hall of Famers that I admire, as well as some Orioles cards. 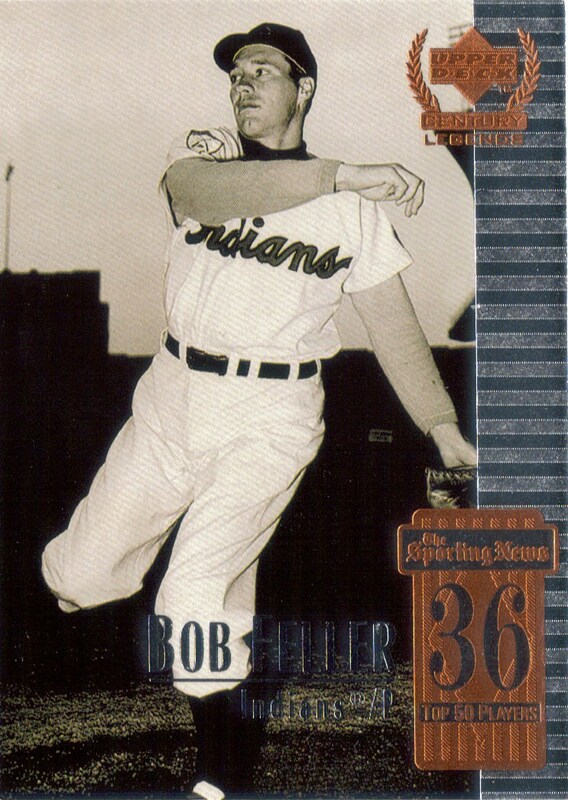 I really enjoy getting new Bob Feller cards. Feller was and always will be the greatest pitcher of all time, in my mind. 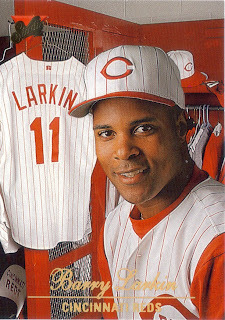 A true phenom when he broke into the majors and a true American Hero off the field. Another of the greatest players of all time, in my opinion is Stan Musial. 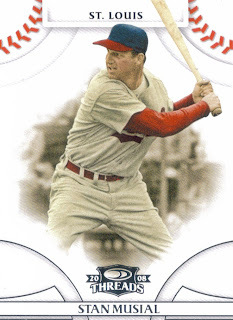 I really like the Donruss Threads cards and this Musial is really sharp. I remember 1995 Score very vividly. 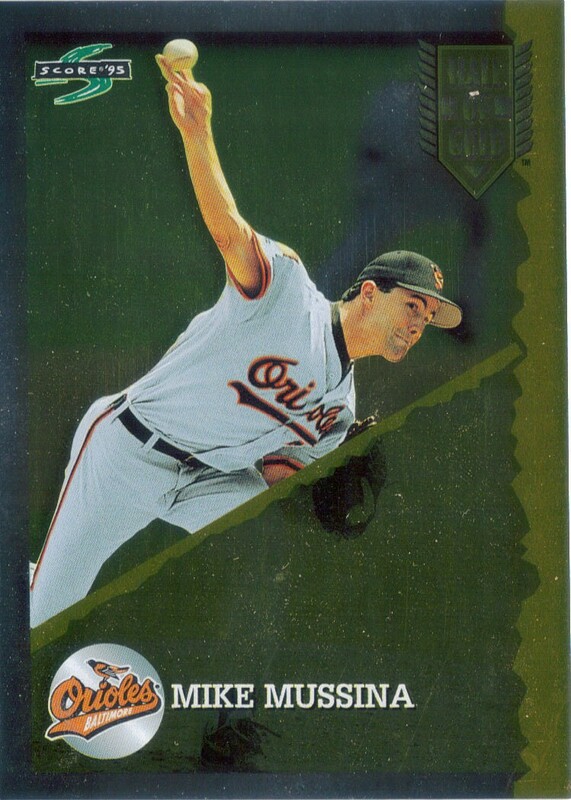 I was surprised that I didn't already own this Mike Mussina Hall of Gold insert. Moose is arguably the second best Orioles pitcher behind Jim Palmer. I'm sure he will get into the Hall of Fame sometime, but I'm not sure if he will wear an Orioles hat or Yankees. Here's hoping he goes in as an Oriole. Finally, Nick sent me a Gold parallel and Black parallel Luke Scott. 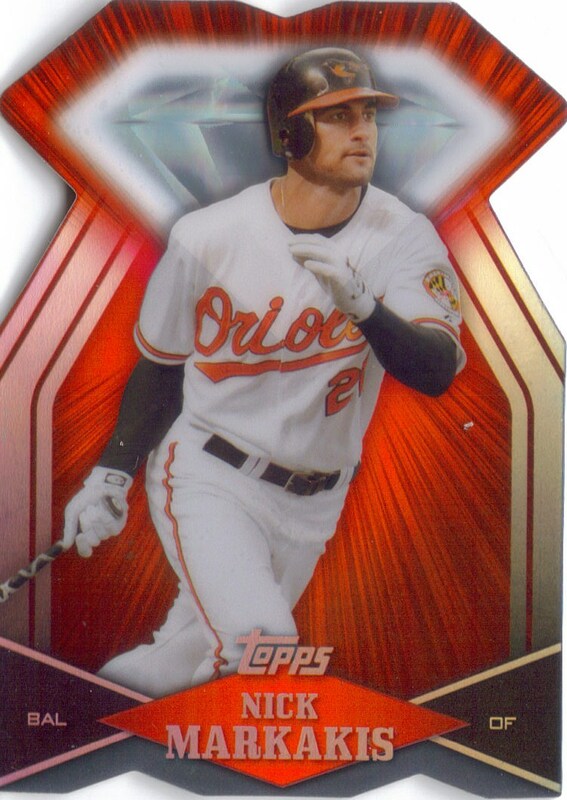 I was hoping the Orioles would hold onto Scott after his shoulder surgery, but for the amount of money he would be making, that would have been a big risk. Oh well. 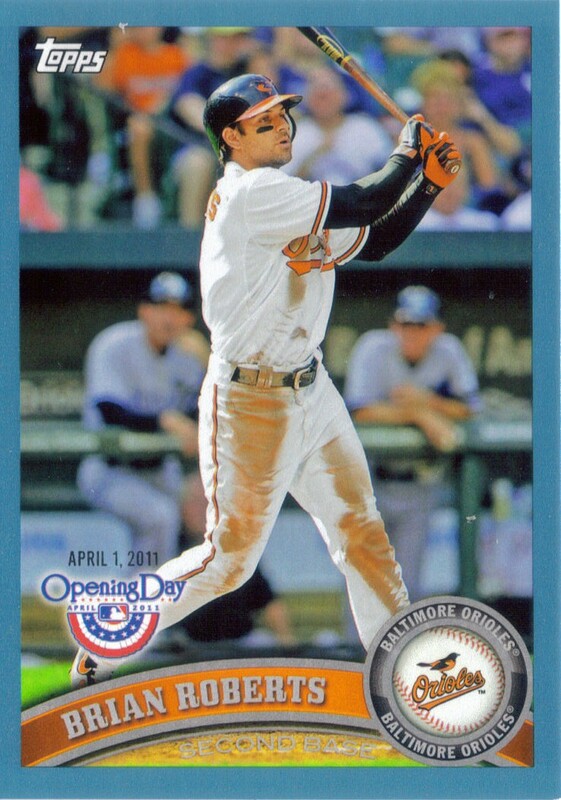 Maybe they can get more production out of Nolan Reimold this year and losing Scott won't be too bad. Thanks for the package Nick! I'm sure we will be passing more cards back and forth. 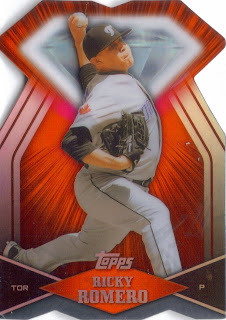 When I completed a trade with Weston from 'Fantastic Catch' the other day, he had one of his friends, Andrew, who had also started a blog (called Andrew's Baseball Cards) message me for a potential trade. Andrew had a few Orioles cards that Weston knew I would like and all I had to do was hook him up with some Aroldis Chapman and St. Louis Cardinals cards. So, I emailed Andrew and worked out a deal. Andrew had this 2011 Topps Update Series Tim Lincecum Cognac available, and I couldn't pass up the opportunity to add something to Chris' new binder. He even remarked the other day how much he liked the 'shiny' cards, so it will be awesome to show it to him (he went to bed tonight before I could open my mail). Andrew added this 2011 Topps Diamond Parallel Zach Britton, which looks really awesome scanned. 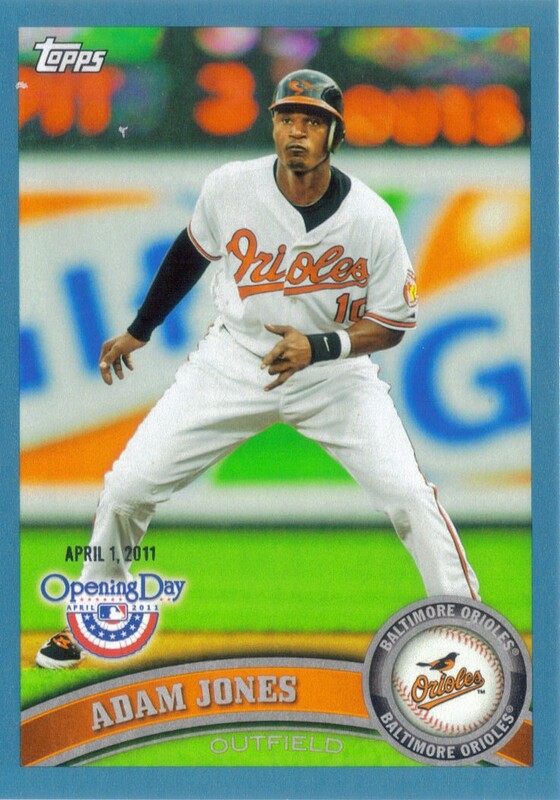 We began the trade with a discussion for these two 2011 Topps Opening Day Blue Parallel Orioles, Adam Jones and Brian Roberts. I like the Blue parallels and always enjoy getting them. I encourage all of you to check out and follow Andrew's blog. I, for one, am enjoying seeing more and more young people getting into blogging and into card collecting. Let's hope it continues into more pageviews and visits at the card show. After several days of not getting any mail, I finally got a good bit today. 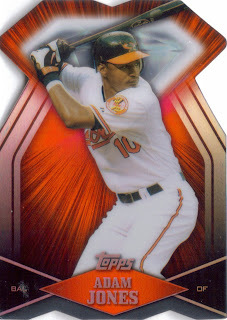 I got some sportlots pickups, a trade and my first of two packages from Topps for the 2011 Diamond Giveaway. In the package from Topps were my Diamond Die Cuts, my 2011 set that I won and a free pack of cards from the 70s or 80s. I was lucky enough to get a pack of 1988 Topps. Whoopeeee! 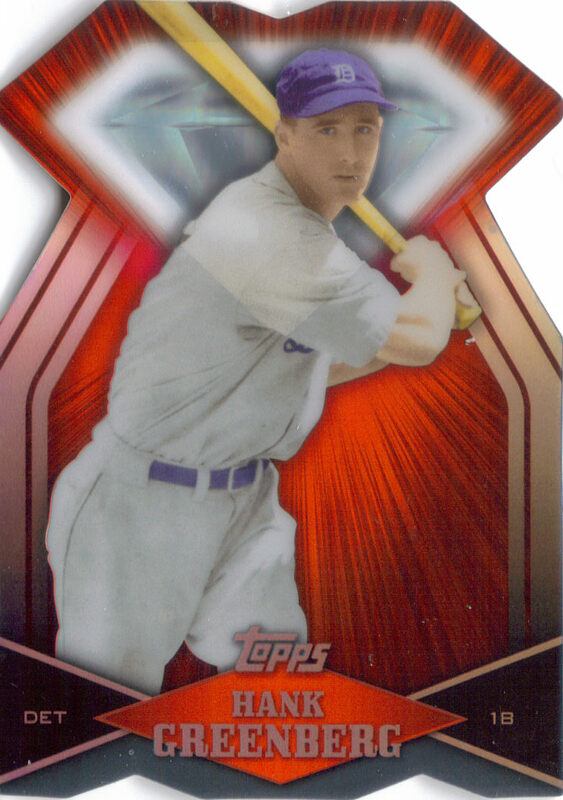 I was offered all kinds of things for this Hank Greenberg, but once I had gotten it for the Gibson, I held onto it because Greenberg was a beast! I am glad I kept it, that's for sure. The cards were a lot thicker than I thought they would be and they came with a protective film over them. I left the film on all but one of the cards. Another Hall of Famer I got was this really cool Reggie Jackson. I like the old school A's jersey. I don't remember, but I traded something for 3 Orioles DDCs. I ended up with Nick Markakis, Adam Jones and Mark Reynolds. I think what I traded was a 1952 Topps of someone. I know, I should have kept the 1952, but I really wanted the Orioles. Since Jones and Markakis wer eincluded in the trade, I went ahead and pulled off the deal. I took the protective film off of the Reynolds because it was kind of wadded up at the bottom. The cards look great, but for now, I'm going to keep them the way they are. 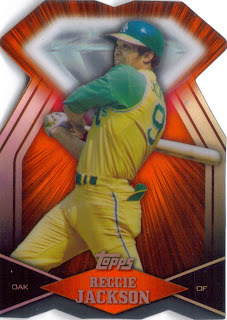 The one DDC that I'm SURE I will sell of trade is this Ricky Romero. I tried to trade it on the Diamond Giveaway trade page, but no one was biting for what I wanted. Oh well, I know there has to be a blogger or someone at the card show who will want it. So, in my mind, the 2011 DDCs were very awesome. 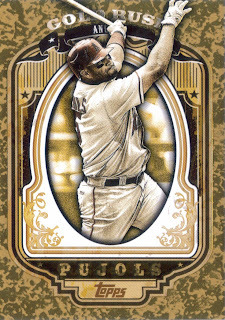 I am very disappointed that the cards are so much harder to get in this year's Golden Giveaway. I used 33 codes and didn't get a single card this year. Fail!! Part of why I love building older sets of Topps cards is seeing some of the players who have come and gone as years have gone by. Some of the players are household names who achieved greatness while others may have only gotten a cup of coffee in the big leagues only to fade into obscurity. There are also other players whose talent shone brightly for a brief time, but were lost to us far too soon. One of those players is Doug Million. 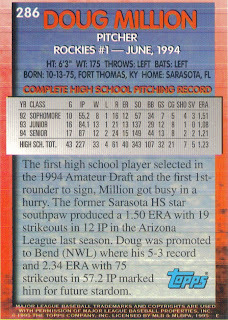 Doug Million was born in 1975 in Kentucky, but rose to fame as a high school left handed pitcher in Sarasota, Florida. 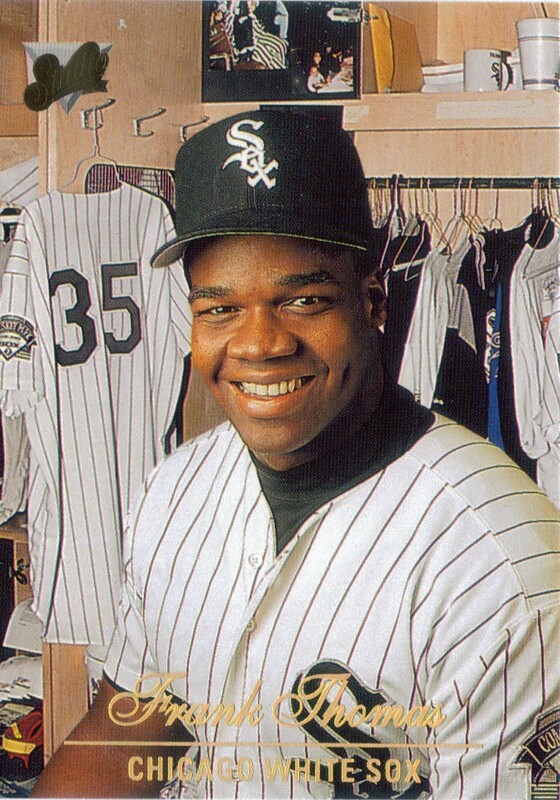 He won the Gatorade High School Baseball Player of the year award in 1994. According to the above 1995 Topps baseball card, he was 33-4 with a 1.23 ERA in his high school career (WOW!). He was drafted out of high school by the Colorado Rockies with the seventh overall pick in the 1994 amateur draft. Million went on to play in 4 minor league seasons with a record of 26-32, 395 strikeouts and an ERA of 4.12. 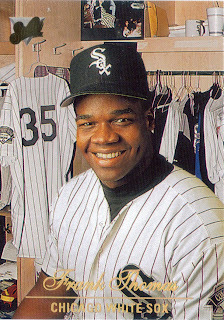 Million was ranked the #19 prospect in the pre-1995 Baseball America rankings and #69 prospect in the pre 1996 Baseball America rankings. 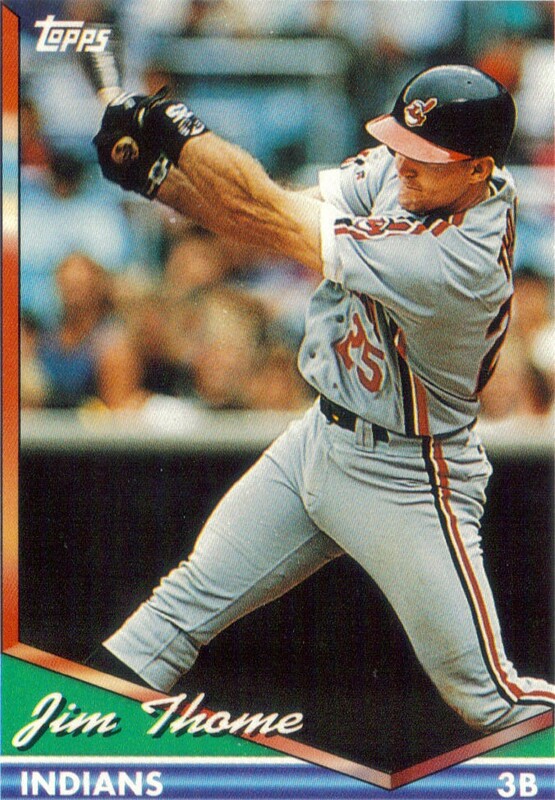 He struggled to a 5-14 record in 1997 over two teams in high A and AA ball. 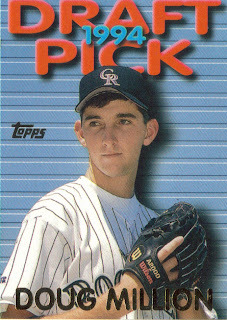 The Rockies sent him to instructional league in Mesa, Arizona following the completion of the 1997 minor league season in order to work on some things and try to bounce back. Million had battled asthma his entire life, but had always managed it. While in Mesa, on September 23, 1997, he and a roommate had gone to a restaurant to play an electronic trivia game. Million suffered an asthma attack in the restaurant and passed away at the age of 21 shortly thereafter in the early hours of September 24, 1997. His death shook the Rockies organization from top to bottom. Former Rockies manager Don Baylor was quoted in Million's obituary which was printed in September 1997 in the Hastings Star Gazette as saying "I was in shock when I heard it, and I'm still in shock. Here is a man who will never get the chance to fulfill his boyhood dreams." 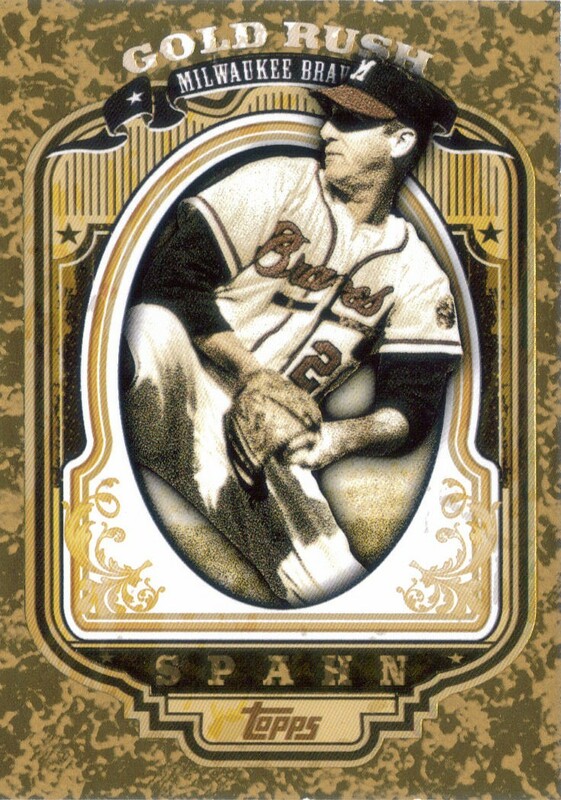 I tell this story because sometimes as we thumb through cards in the boxes and albums we have in our closets and attics, we tend to not notice some of those players who we might have never heard of. Sometimes they just didn't pan out and sometimes, as sad as it is, they don't get the opportunity because their life was taken far too early. Million passed away to an asthma attack. 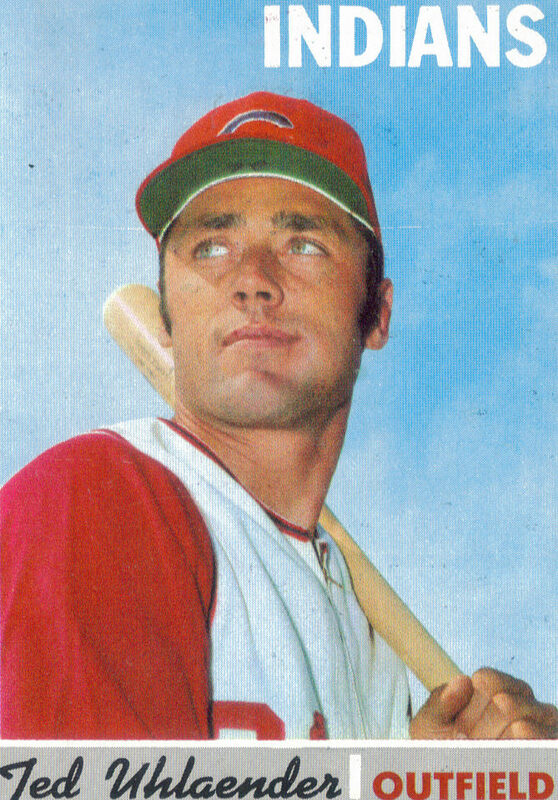 Other players have been lost in plane crashes, car accidents and sometimes, yes, even murder. Hopefully, their memories can live on through others who seemingly stumble upon their baseball cards and take the time to find out who they were. I went to the Kinston card shop today with my wife, son and a friend to kill some time and I left there with a couple really nice 1969 Topps Orioles. I was having a hard time finding stuff that jumped out at me until I decided to go through the vintage box. I plan on working on the 1969 set really soon, so anything I could get my hands on was good. 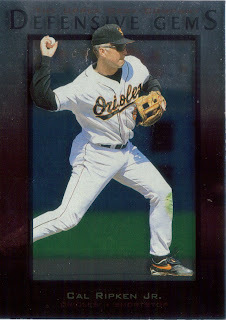 These cards weren't in the best of condition, so I'll probably keep these with my Orioles stuff. 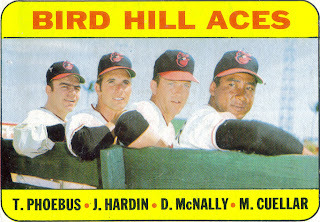 The first card shown is this Bird Hill Aces card. 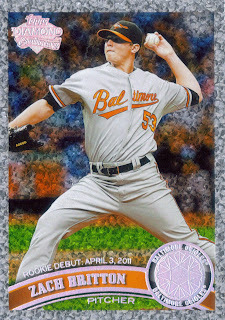 I like this one because the history of the Orioles franchise has been built on pitching. 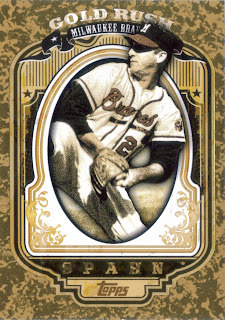 Funny thing, though, this card doesn't show the Orioles' true historical ace, Jim Palmer. 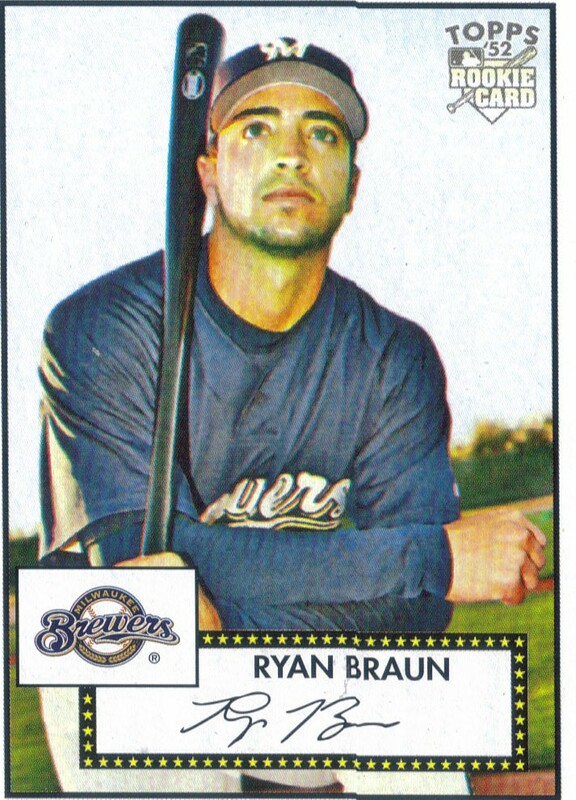 He was still young and erratic when this card was released. Not to worry, though, Palmer would cement himself atop the Orioles rotation for the decade that followed the production of this set. 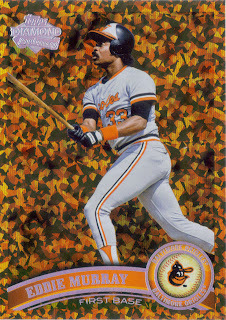 This card is awesome because it is a rookie card of one of the most beloved Orioles of all time, Elrod Hendricks. 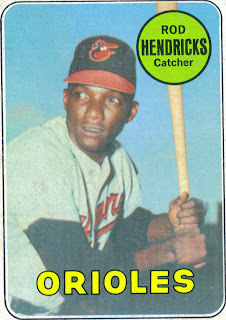 Hendricks would spend almost 40 years with the Orioles organization until his death in 2005. I met him in July of 2005 and got a ball signed by him. I wish I hadn't gotten it signed in sharpie because it is slowly fading into oblivion. Hendricks was a great bullpen coach for the Orioles over the years, and really, they should have retired his number 44 back in '05 when he passed. 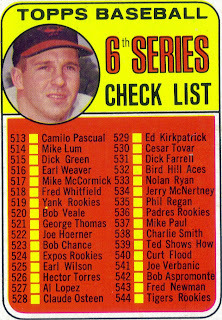 Finally, I got 2 copies of this 1969 Topps 6th series checklist. 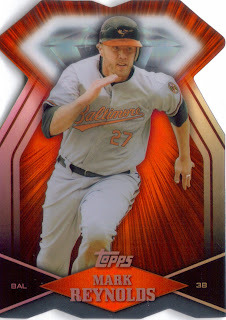 It was a Brooks Robinson card that I didn't have in my collection, which I need to tighten up on. I don't think I have all of his all star or checklist cards, so that is something I need to research and add to my want list. I like how the colors pop on this card. It is a really sharp card, with a small stain on the left hand side, near the top. You can hardly notice it. The other copy I got has corners that are kind of soft, so that one will go in my Brooks PC and this one will go into my 1969 set. In all, we enjoyed our trip to the shop, as always. I almost bought 2 boxes of 1995 Topps to bust because I hadn't started that set, yet. I held off, though because I spent some big money on Sportlots the other day. You'll be seeing what I got in the coming days. 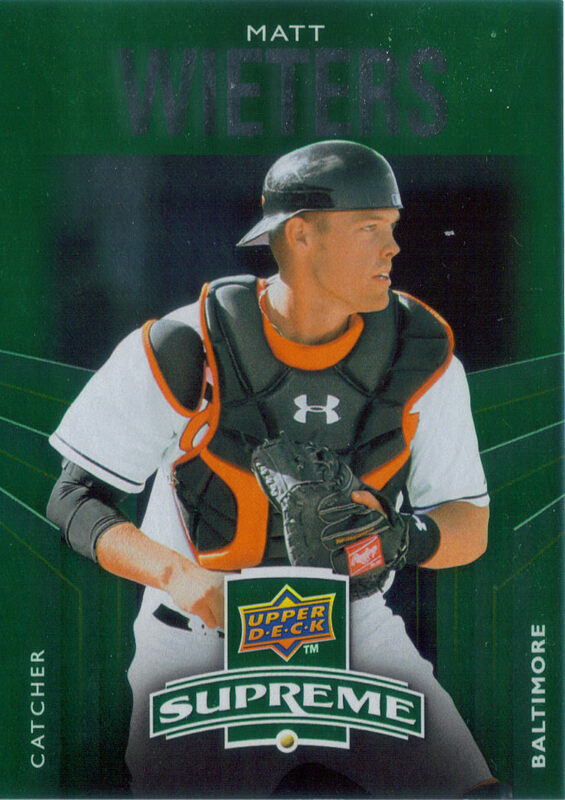 Here is a Matt Wieters from 2010 Upper Deck. It is really hard to get any Wieters cards, so whenever I can get my hands on one, I have to strike. I really hate the player exclusive deals. I hope his deal with Upper Deck is over soon so I can finally get him on some Topps products. Weston sent me this 2011 Topps reprint (original back) 1983 Cal Ripken. Always a nice set, for some reason when I was building the 1983 set, it was real hard finding commons. I don't know why, but it doesn't matter now because I finished that set a long time ago. 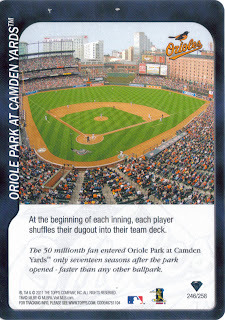 Here is a nice Topps Attax Camden Yards card. 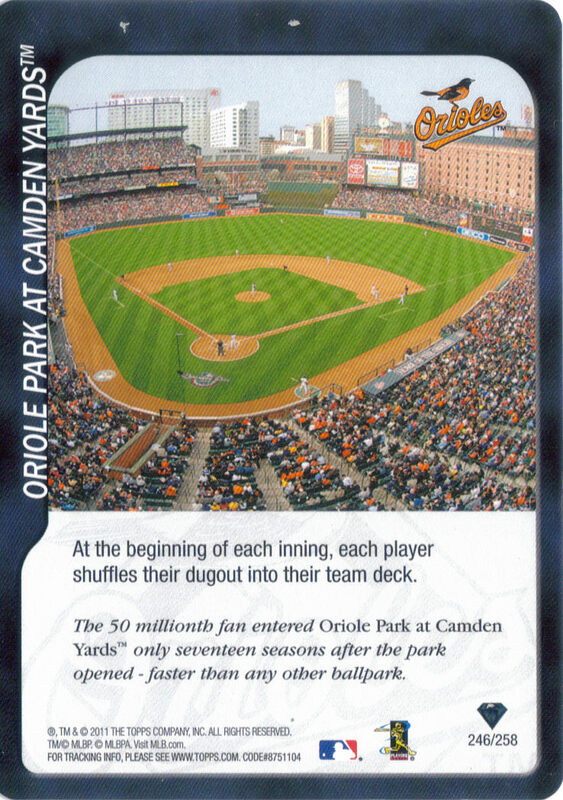 I have a few stadium cards for the O's in an album that I put together back in 2005, so I will add this one to that. Weston added this 1988 Topps mini Cal Ripken to the trade because I was 'nice to him.' Well, I try to be. I really appreciated the card, though, and as far as I can tell, I don't think I had this one in the collection, so score one for Weston!! I really appreciated the trade and it seems like trades are becoming the norm for me lately. It is really refreshing to see young kids getting into cards and also getting into blogging. That is definitely a good sign for the future of the hobby. According to the MLBPA and various news outlets (one of which was XMs MLB Radio), Ryan Braun has won his appeal against his suspension for testing positive for PEDs. Apparently, he was correct in saying through his representatives that unusual circumstances triggered his positive test result. I, for one, am glad that Braun won his appeal. Baseball does not need one of its stars tarnished if he is innocent. The biggest problem with it is that the positive result was supposed to be confidential until after the appeal process had been completed. Unfortunately, we now live in a world where each and every 'news' outlet is scratching and clawing to break stories first, so Braun's name and reputation was disregarded when news of the positive test was leaked to the press. I think MLB should look long and hard at whomever leaked the result before the process was carried out and they should serve a swift and severe punishment. Congratulations to Braun. Maybe now he can move forward and rebuild his reputation. I'm sure a lot more info will be coming out as to what triggered the positive result. I'm really curious to see how it happened. Chris and I were bored this weekend (I think Saturday night) and decided to bust a box of cards that I had stashed away in the closet. 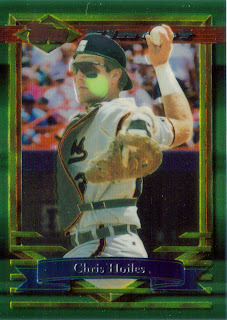 I have a couple boxes of 90s 'junk wax' sitting around so we chose 1994 Topps as the product that we were going to bust. I had forgotten how sharp 1994 Topps looked. Card collecting took a major hit following the 1994 season, when baseball went on strike. 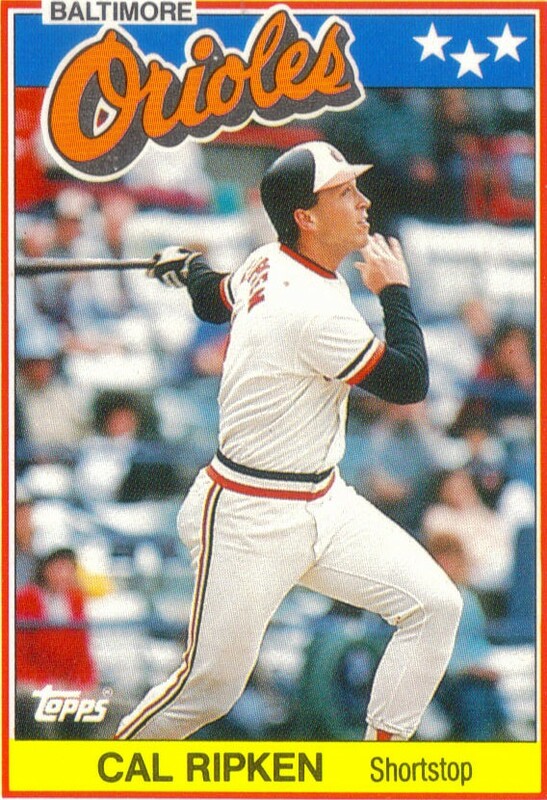 The year before, Topps released the 1993 set, a behemoth of 825 cards, but slimmed back down to the 80s-90s standard of 792 cards. There are some good action shots in the set. 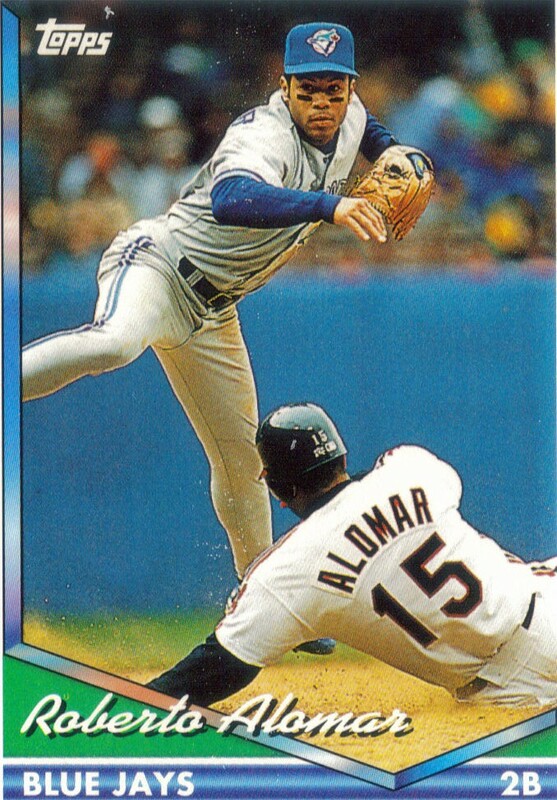 I think my favorite that made me stop and look was the above Roberto Alomar card, turning a double play on his brother Sandy. I just like the concept of the photo. 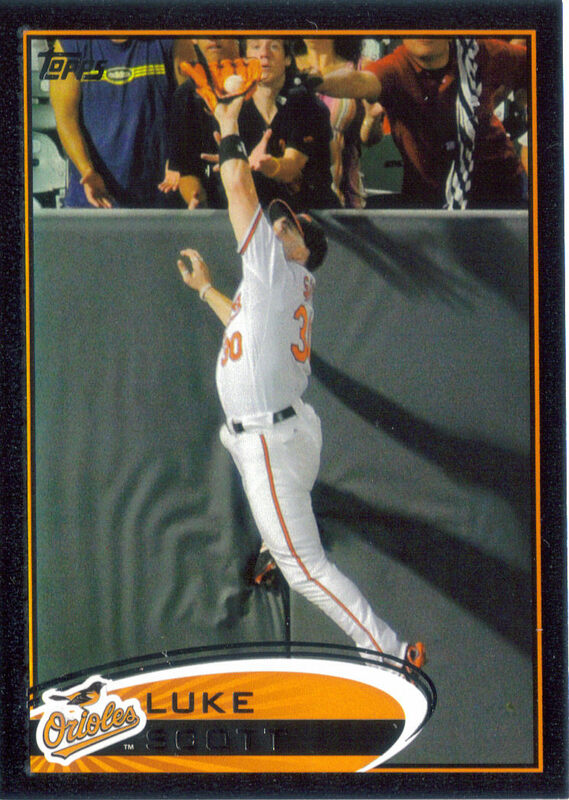 This is a great shot of Jim Thome possibly blasting a homer. Who would have thought back in 1994 that Thome would have over 600 homers to his name? We got some pretty decent inserts. 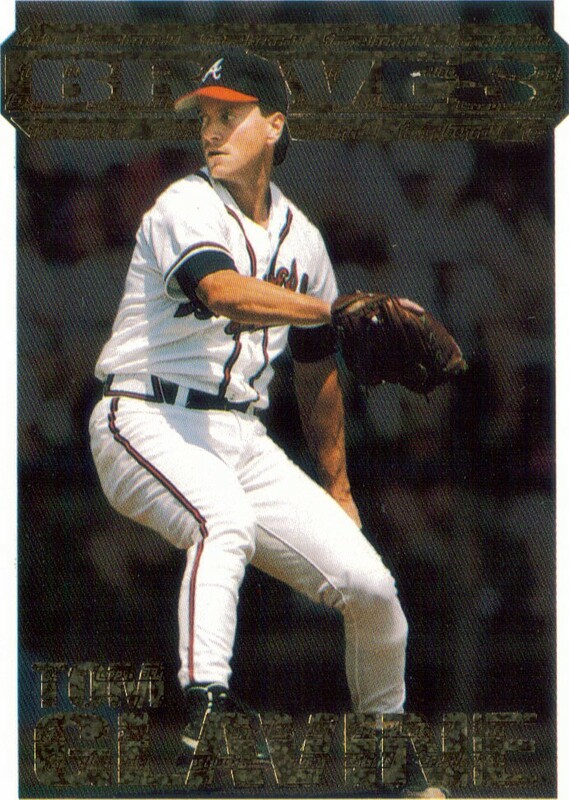 In 1994, Topps Finest was an insert set, inserted one into every 36 packs. The cool thing was that we pulled an Oriole. It would have been nice if it was Cal, but I will take a Chris Hoiles. We were also lucky enough to pull a Black Gold Tom Glavine (which is up for trade). These were one for every 81 packs (or so, I have already thrown out my wrappers). In all, we did pretty well with our box. Lots of good photos and a couple decent inserts. Chris had a good time with it, so that really is all that matters. I think I'm going to be on the lookout for some more cheap 'junk wax' boxes that he and I can bust together. 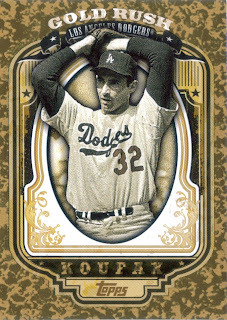 Koufax and Spahn were the best of the HOF/retired players that I was able to pull. I also got Tony Gwynn and Albert Belle. Tim Hudson, Allen Craig, Aroldis Chapman and Felix Hernandez. 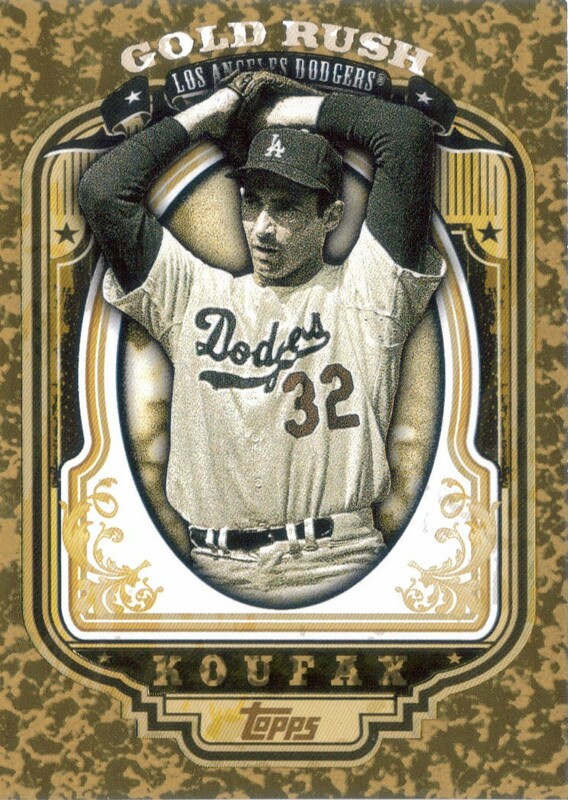 I plan on keeping the Spahn and Koufax cards. I think I might keep the Hamilton, too, unless someone overwhelms me with an offer. I bet I could get a decent amount from the Pujols. All of the other cards not mentioned will either be trade bait or sold at the April card show. If any of these cards interest you, please shoot me an email and let me know!! I'm ready to wrap up a couple of the sets I have been working on. 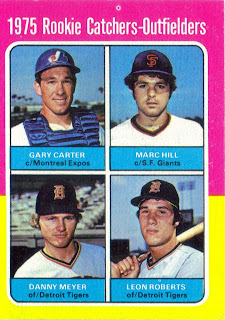 I have been working on 1970 Topps for at least 3 years because I remember when I came out and visited the Greenville area in December 2008, I picked up a couple for the set. Way back then, I picked up the 1970 Topps Reggie Jackson and if you want to feel nostalgic, you can read the post right here. Anyway, when Chris and I went to the Kinston card shop on Saturday, I found two cards I needed from the 1970 set. 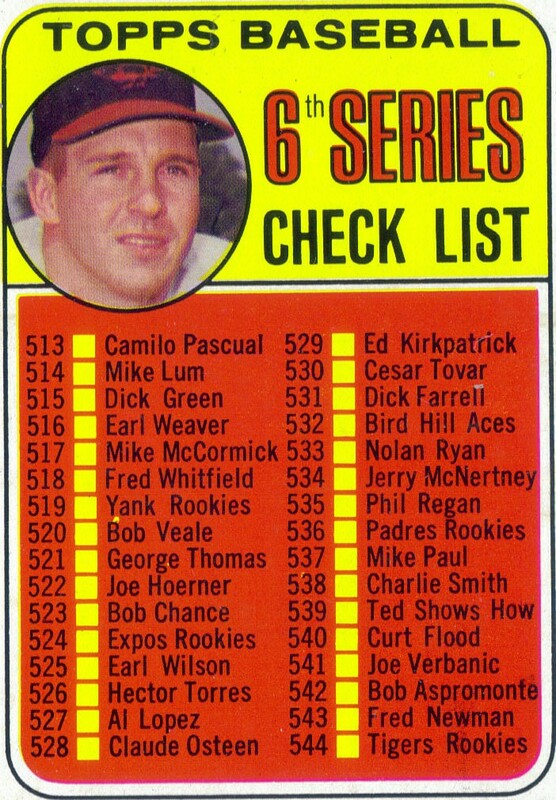 That knocks my want list for 1970 down to 23 cards. I have 697 cards out of 720 (96.8%). All of the cards I need are high numbers, which have caused my set pursuit come to a screeching halt. My goal is to knock 1970 out pretty soon, then turn my attention to slimming down my 1971 needs before I start on 1959 and 1969 Topps. I have parts and pieces of pretty much every year of Topps cards that I have not yet completed (except for 1952-1954 Topps, which I have very little of), so eventually, I will sort all of those remaining years, purge the duplicates and log all of the needs. My main focus after 1970 and 1971 will be 1959 and 1969 like I stated above, but while working on those, I also intend to complete the remaining mid-1990s sets that I need. Those won't take too much work, as I will be able to find commons and boxes of those years pretty cheaply. I have already started sorting and logging 1997 Topps and found that I pretty much need a full box of Series 2 1997 to bust so I can start picking up the random commons I need to finish that one. AWESOME Hit At The Card Shop! My wife, son and I did our weekly Sunday ritual of having lunch at a local hot dog shop then heading by the Greenville card shop to say hello to Wendell, the shop's proprietor. This has been something we all have done for the past several weeks. I usually pick up supplies while my wife and son get a couple packs. 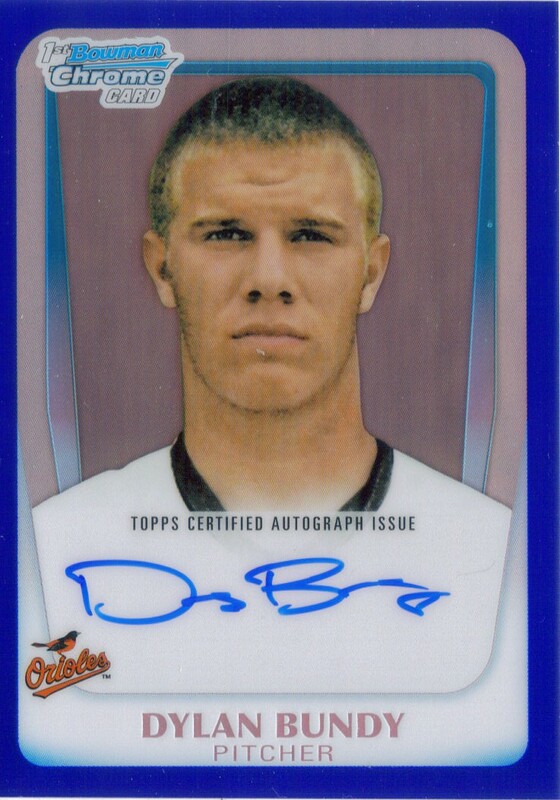 Today, I picked up two packs of 2011 Bowman Draft Picks and Prospects with the sole purpose of getting a base card of Orioles 2011 #1 draft pick, Dylan Bundy. YEAH! I pulled his blue refractor auto, numbered #112/150. This card has completed listings on ebay that sold for anywhere between $130 to around $200. Freaking awesome! It has been a long time since I have had a major hit of an actual player I was looking for. The card is beautiful, as I'm sure you can see. The auto is on card, if you're into that sort of thing. I'm still excited about pulling it! Chris and I were bored this morning and decided that after we ate some lunch, we would take a ride out to Kinston and check out a card shop we had heard about. The shop is located in Vernon Park Mall in Kinston, which is about 30 minutes away from our house. I didn't go there with any expectations as I have driven around to check out card shops in the past only to find that they either had closed down or didn't have much of anything to offer. I remember when I came out here to Greenville 3 years ago, I was happy to see that an actual card shop was in town and was a great place to get most of what I needed. The only drawback about the Greenville shop is that the shop owner has pretty much sold out of his vintage stuff. The Kinston shop we went to today is a candy store/card shop. Interesting combination. They had plenty of supplies as well as a nice assortment of all kinds of cards. I took my time looking through the boxes they had set up and found a few things for myself and a couple cards for Chris. They also had a nice selection of vintage Topps from 1955 to 1970. 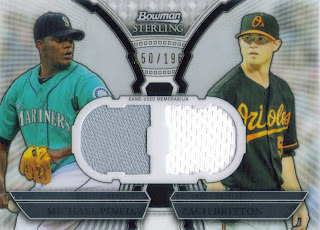 I found the above Pineda/Britton dual relic in a 3/$10.00 box. Since I didn't get 3 cards out of it, it ended up costing me $4.00, which still wasn't bad. They had a lot of Team USA relics which I know a certain blogger would like. 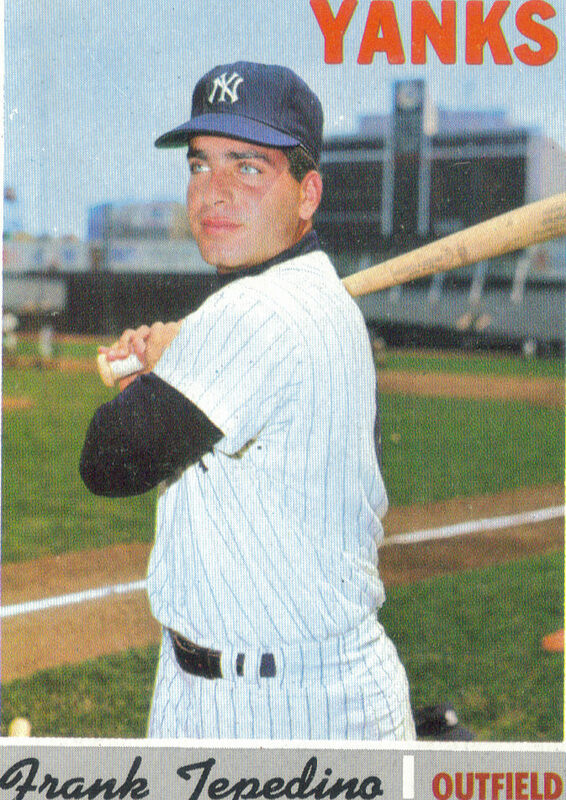 I also found a nice vintage Yankee card for my buddy Drew. I just wish there was a nice vintage Red Sox card for Scott. 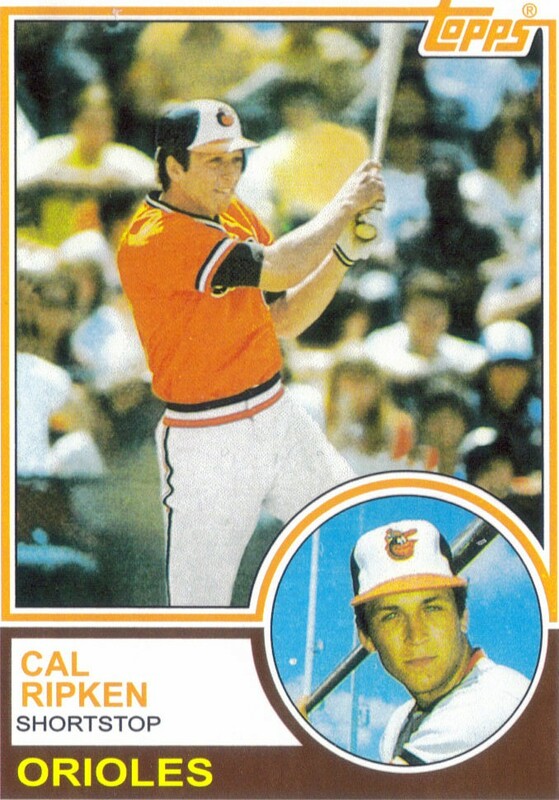 They had a box of $0.50 stars, and I was fairly sure I didn't have this Cal Ripken. I went ahead and picked it up. Chris and I also bought 90s junk wax, he got a pack of 1991 Leaf for $0.50 and I got a pack of 1994 Studio for $1.00. 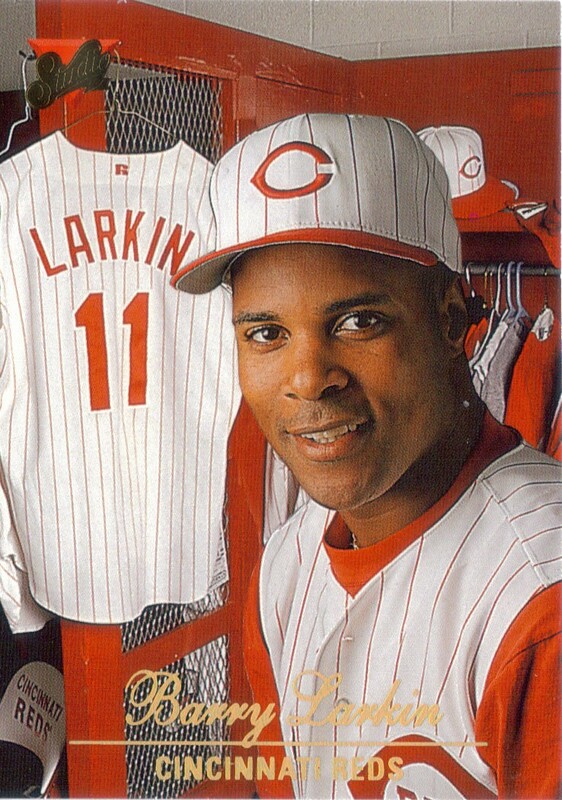 The Barry Larkin and Frank Thomas cards pictured are trade bait if anyone would like them. In all, I was very satisfied with the shop. The shopkeeper was a really nice guy who was patient with Chris and I as we searched his boxes. Chris was able to come away with two Tim Lincecums that he didn't already have. I also bought him a new baseball card album and a box of 100 sheets. 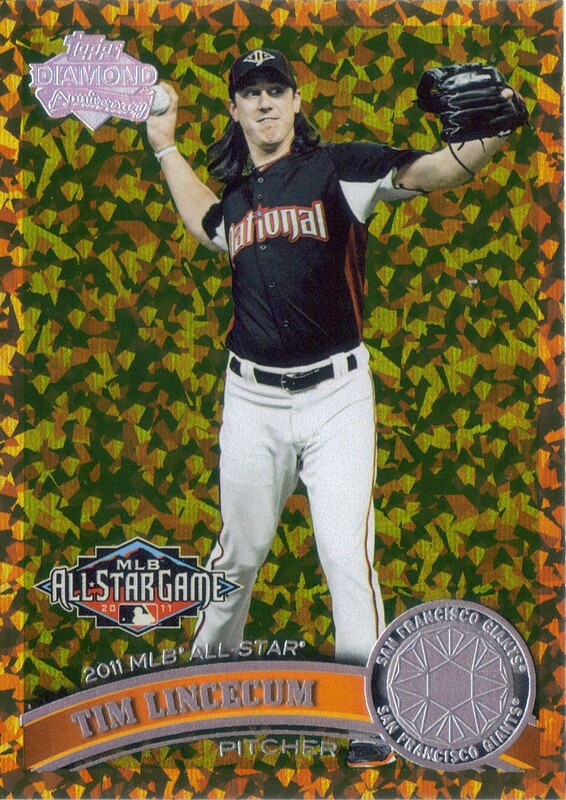 He and I are going to take his Lincecum cards and are going to put all of them together in one album. Finally, Chris is Getting Into Cards! Finally! Yesterday, as I was sitting in front of my laptop, writing a post about Gary Carter, I looked over and saw a sight that a lot of dads dream of seeing. I looked over to see my son engaged in my hobby! Chris had grabbed his box of cards from his room along with his card album that we had been putting his wrestling cards in and filled each and every album page with baseball cards. He did not discriminate as to which cards went where, he just picked ones out that he thought 'looked cool.' In the end, I helped him pick out cards as he slid them into the sheets. He got the box of cards from various packs that he would open from the card shop and card shows that we would visit. Some of the cards he has are actually quite nice. He took several of the Tim Lincecums that he has picked up and added them to the album. I saw a Bobby Abreu Bowman Rookie in there as well. The only thing I had any real input on was the final two pages where he asked me to pick out card for him. I went through his box and helped him make two pages of Hall of Famers. It was a really nice way to spend an hour or so, just looking through 90s junk wax and helping my son add to his album. He wasn't worried about condition or book value or name recognition. He wasn't even worried about which teams were represented. He just wanted to put cards into an album. I sometimes wish we could all step back from the hobby and break it down into those simple terms. I find myself not as worried about book value or condition anymore, but instead I have realized that I would rather have cards that told a good story or ones that would make a good blog post. I plan on picking Chris up another album and some sheets sometime soon so he has a new album to fill. He has said that he wants to do some trades with people,so I think I will help him get some more Tim Lincecums or some wrestling cards using what he has in his album. I think it might be good for him. I know it will be good for us, as we spend the time together doing something we both enjoy! 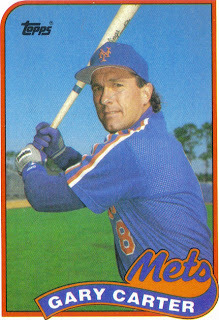 Another Hall of Famer was lost today when Gary Carter lost his battle with brain cancer at the age of 57. Carter is historically regarded as one of the greatest catchers to ever have played game. From 1974 to 1992 he collected 2,092 hits, 324 home runs and a lifetime average of .262. He won the World Series with the 1986 Mets. Here, Carter can be seen on his 1975 Topps Rookie Card. Here is an example of a ball signed by Carter that I picked up late last year. 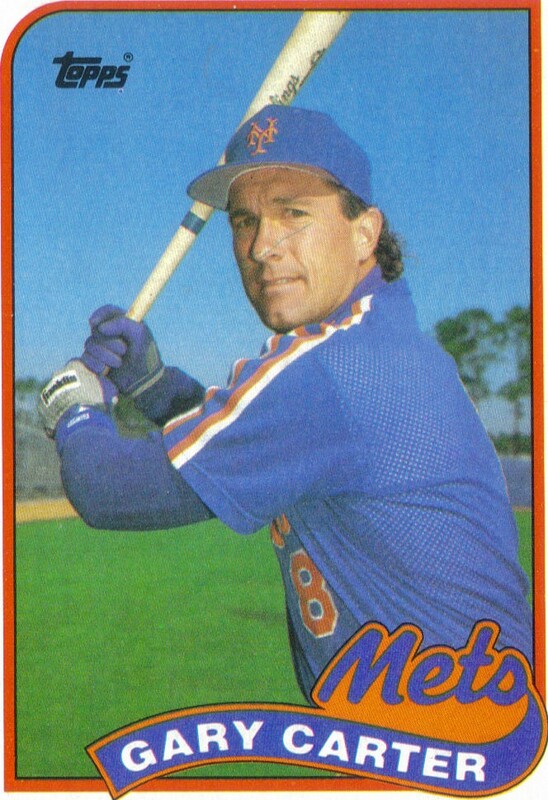 I would like to extend my condolences to Gary Carter's family, fans as well as Expos and Mets fans. Baseball lost one of its all time greats today at too young an age. I didn't have any mail when I got home from work, which is never how I want to end my day. I guess I can't complain. I do have 7 baseballs still out for TTMs, though, so I wish they would get here. Anyway, Last Sunday, I went to my local card shop to get some supplies and left there with a couple packs of cards. I didn't have any huge hits, but I did get a couple cards of note. 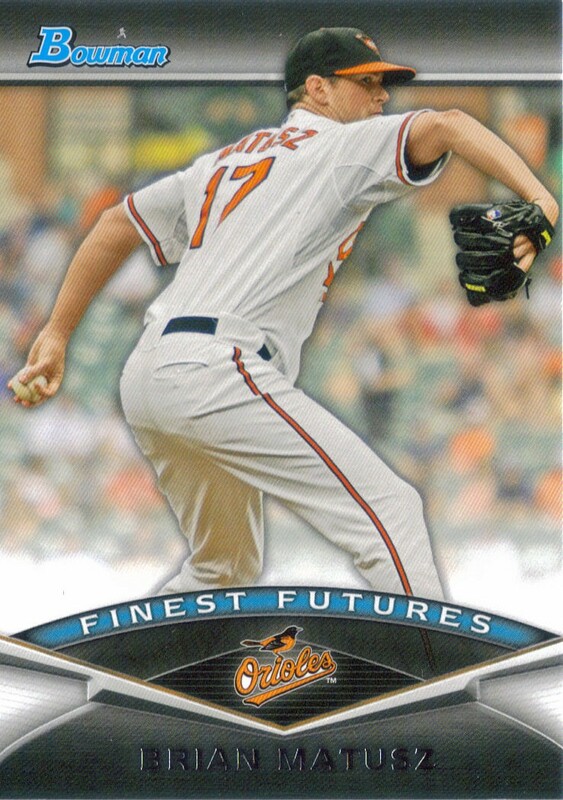 Out of a pack of Bowman Draft Picks and Prospects (I think), I pulled this Brian Matusz. Not too bad. 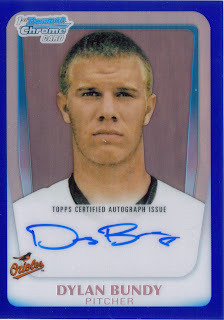 I would have rather pulled the Dylan Bundy, but oh well, at least I got an Oriole. 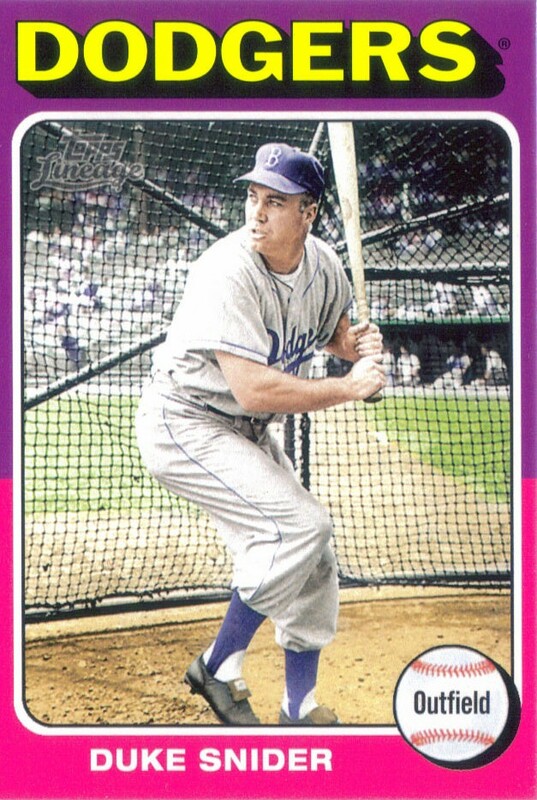 I bought two packs of 2011 Topps Lineage and got this 1975 mini of Duke Snider. 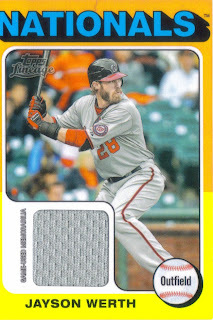 That same pack also had a mini relic of Jayson Werth. 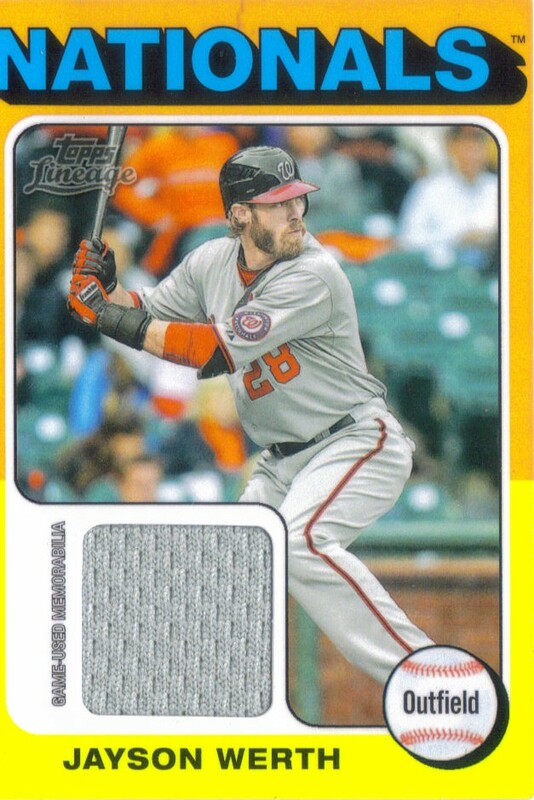 I'm not a fan of Werth, so this card is definitely up for trade. If anyone is interested, please send me an email. I'll go ahead and add this to the for sale/trade page. 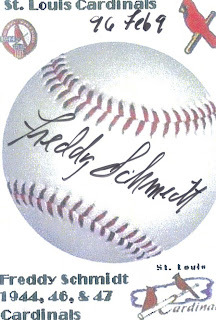 I received a TTM success today from one of the oldest living former Major League players, Mr. Freddy Schmidt. 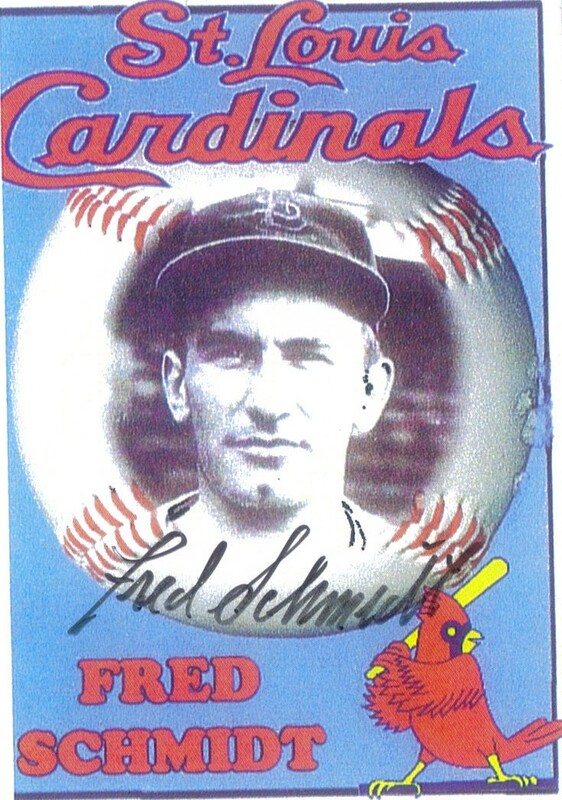 Mr. Schmidt was a pitcher who played in the 1944, 1946 and 1947 seasons for the Cardinals, Phillies and Cubs. He won the World Series with the 1944 Cardinals, pitching 3.1 innings in one game of that series. He also was on the 1946 World Series Champion Cardinals, but did not appear in that World Series. 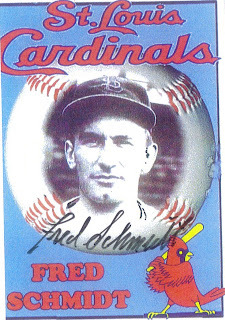 Schmidt ended his career in 1947 with the Cubs and had a career record of 13-11, 98 strikeouts and a career ERA of 3.75. 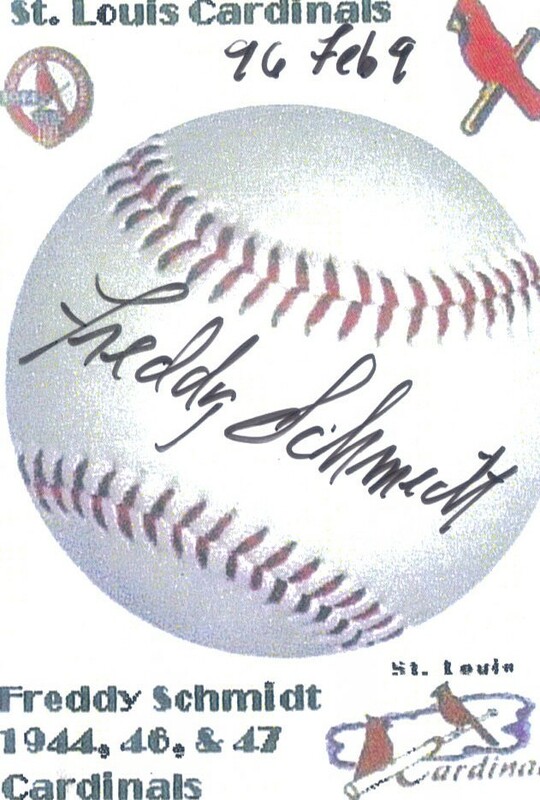 Schmidt has a really nice signature and was nice enough to inscribe my ball with his World Series Championship years. 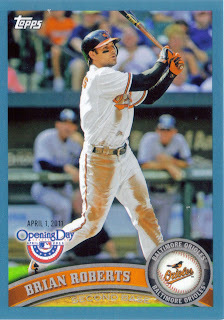 Schmidt also included 2 signed cards, which look pretty awesome! I like the below card, you can see that he wrote 96 Feb 9, meaning he turned 96 on February 9 of this year. 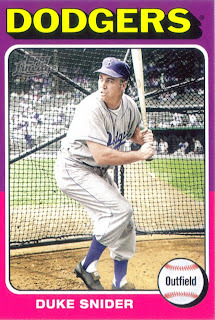 Schmidt is the fourth oldest living former Major League player and the oldest to have won a World Series Championship. I sent to Mr. Schmidt on February 4th, 2012 and got my ball back on February 14th making him a 10-day TAT. He is my 46th TTM success. 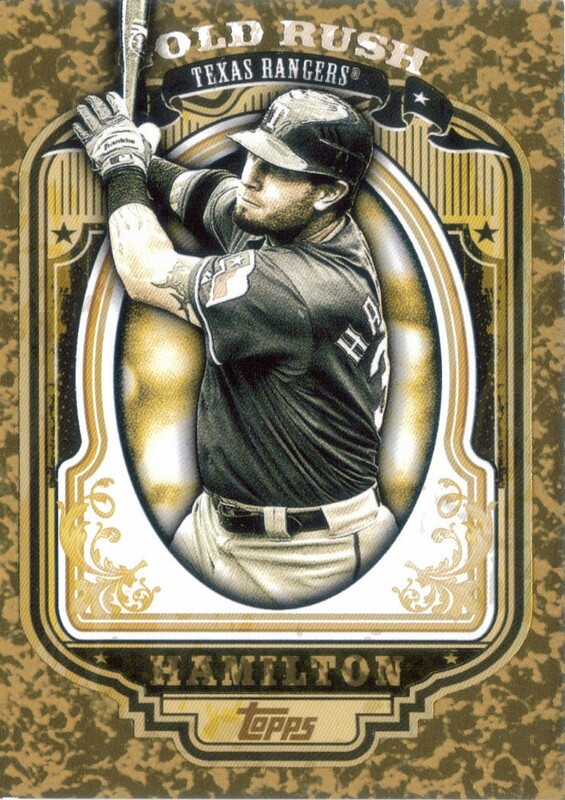 Series 1 Topps is Now Live!